Belgium and its airports seem to have been skirmishing with the European Union Courts for some time now. First, in 2008, the ECJ in Abraham decided that a major and well-established expansion of Liege-Bierset airport required Environmental Impact Assessment (EIA), contrary to the contentions of the airport and its operators. Our case, Boxus, concerns a raft of challenges to consents for that airport expansion, and to similar projects affecting Charleroi airport and railways. 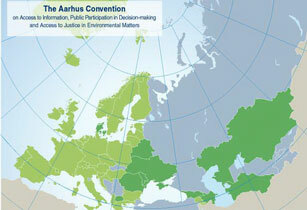 These challenges ended up in front of the Court of Justice of the European Union on more EIA issues. This time, it appears that the Walloon Region of Belgium had become impatient with continuing court challenges – so it resorted to Parliamentary Decree, in which Parliament “ratified” the various planning consents. Hey, presto, the Region thought, any defects in previous procedures are solved, and the court proceedings will fall away – or will they? Enter, on a white charger, the Aarhus Convention to the aid of the challengers. Welcome back to the human rights roundup. Our full list of links can be found here. You can also find our table of human rights cases here and previous roundups here. The Supreme Court and the European Court of Human Rights have featured prominently in the legal news this week. Let’s find out why. The Supreme Court’s ‘terrible twos’? The Supreme Court has become a toddler, celebrating its second birthday last week. The Guardian has produced a video interview with the justices as well as an article with some of the Justices who attempt to demystify the Courts’ processes. But will its birthday mark the beginning of the court’s ‘terrible- twos’? Lady Hale, the only female Justice, has certainly been vocal of late. Calling for more diversity amongst the judiciary, Hale argues that we need to “think of the very able people that are doing … less visible forms of practice, rather than just thinking about the top QCs”; representing a possible contrast to the other male Justices who argue that promoting diversity over merit would be a “great mistake”. I did a recent post on this case based upon a very short report; the full transcript of the judgment is now available. The case concerns who is to decide issues of air quality in a planning case about incinerators/energy-from-waste plants. The headlines are as before – but there is a good deal in this judgment, particularly for those interested in conservation issues, as well as that vexed question of when a legitimate expectation may arise in the course of a hearing. Sadly, the judgment is still not available on an open access website such as Bailli – bless it, per Adam Wagner’s post– but I hope that will change soon. In his speech earlier this week the Attorney General announced that he would appear in person before the Grand Chamber of the European Court of Human Rights in two weeks’ time, when it hears Scoppola v Italy No2, a case concerning prisoner voting. The United Kingdom is due to intervene in this case, for reasons that readers of this blog will be fully aware of. Commissioner of Police of the Metropolis & Anor v Times Newspapers Ltd & Anor  EWHC 2705 (QB) (24 October 2011) – Read judgment. Mr Justice Tugendhat has held that, with restrictions, The Times Newspapers Ltd (TNL) should be allowed to use information from leaked documents in its defence to a libel claim brought by the Metropolitan Police Service and the Serious Organised Crime Agency (SOCA). However, proportionality limited the reach of this judgment to the next stage in the libel claim, after which reassessment may be necessary. It was held that restrictions in the order made did not interfere with TNL’s right to a fair trial in the libel case nor offend its right to freedom of expression. Decisions on specific documents was dealt with in a closed judgment because of the sensitivity of the subject matter. At around the same time that 79 Conservative Party MPs were rebelling over a European referendum, the Conservative Attorney General was giving a very interesting speech entitled European Convention on Human Rights – Current Challenges. In a month in which the Justice Secretary called part of the Home Secretary’s speech on human rights “laughable” and “childlike”, Dominic Grieve presented a refreshingly grown-up argument on human rights reform. The speech is worth reading in full. Grieve presented the Government’s arguments, most of them already well-known, on why the Human Rights Act needs to be replaced by a Bill of Rights. There were no big surprises; his central theme, subsidiarity, that is the European Court giving member states more space to set their local social policy, is something which the Justice Secretary has spoken about – see my post on his evidence to the European Scrutiny Committee. This application raises a significant issue about the treatment of vulnerable asylum-seekers and their children following certification of their claim as clearly unfounded. It concerned the interface between state authorities’ obligations under the EU system of determining responsibility for examining asylum claims under the Dublin II Regulation (2003/34/EC), on the one hand, and their obligations under the European Convention of Human Rights on the other. Although Convention rights theoretically form part of the “principles” of EU law, this case is a neat illustration of how the states’ duties under the two regimes are subtly different, and how attentive the courts have to be to the individual circumstances of the case. The Commission on a Bill of Rights consultation is closing on 11 November 2011, which is two weeks on Friday. If you trying to decide what you think about the consultation paper (the paper itself is unlikely to help much, as it doesn’t provide any options), then there are two excellent events coming up which may help. The UCL Institute for Human Rights Debate, Does Britain Need a Bill of Rights? Last week Lord Judge LCJ gave a speech on “press regulation” at Justice’s Annual Human Rights Law Conference. His speech was an unusual one, given that judges generally refrain from commenting on the important issues of the moment. Lord Judge was supportive of Lord Justice Leveson and of the Press Complaints Commission, both targets of criticism in the context of the inquiry into the culture, practices and ethics of the press and the Leveson inquiry. Can Britain “ignore Europe on human rights”? Headlines are important. They catch the eye and can be the only reason a person decides to read an article or, in the case of a front page headline, buy a newspaper. On Thursday The Times’ front page headline was “Britain can ignore Europe on human rights: top judge”. But can it? And did Lord Judge, the Lord Chief Justice, really say that? To paraphrase another blog, no and no. The headline, which I am fairly sure was not written by Frances Gibb, the Times’ excellent legal correspondent and writer of the article itself, bears no relation to Lord Judge’s comments to the House of Lords Constitution Committee (see from 10:25). It is also based on a fundamental misunderstanding of how the European Convention on Human Rights has been incorporated into UK law. Adam Wagner’s October 19th post on Sir Scott Baker’s Extradition Review Panel report noted that the document “mostly backed the status quo,” calling attention to its rejection of proposed reforms to the “forum bar” rule, the US/UK Treaty, and the lack of a prima facie case requirement. 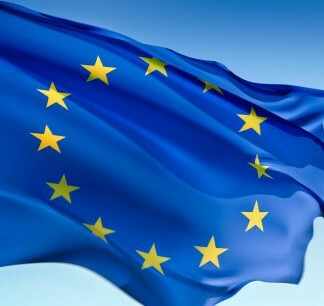 While it’s true that the Report left much to be desired for extradition reform campaigners, especially those focusing on US/UK extradition issues, reformers can take comfort in the Report’s response to proposed reforms of the European Arrest Warrant (EAW), which offered a rather different picture than was reported. Ministry of Justice on Aarhus and environmental judicial review: its get out of jail card? In this consultation announced this week, the Ministry of Justice is trying to get itself out of the multiple Aarhus problems facing UK justice. Infraction proceedings are threatened in the EU Court, and adverse conclusions were reached by Aarhus Compliance Committee; all much posted about on this blog, for which see below. The main problem is that the Aarhus Convention requires that environmental challenges not be “prohibitively expensive”, and everybody now appears to agree that the basic UK system of “loser pays the costs” does not achieve that objective without changes. So what does MoJ propose to do about it? It says that costs protection should be provided via codification of the rules concerning Protective Costs Orders. That means that a claimant in any public interest case may ask the court for a PCO, to “cap” his liability to pay the other side’s costs to such a figure as does not deter him from bringing those proceedings. The boundaries of when a PCO can be ordered are much fought over – leading to more costs – but it certainly extends in principle to all public interest judicial review cases, not simply environmental ones. It is possible (at its very lowest) that PCOs can be made in public interest environmental challenges not involving judicial review, though there is not yet a decision either way on that. Every Wednesday my daughter looks forward to the arrival of the mobile library at her nursery. Two by two the children go into the little world of books and emerge holding a new story they have chosen for themselves. Not for long. Despite the well-documented advantages of exposing children to the joys of reading at an early age – before the attractions of TV, video games and looting shops take hold – library services across the land are being targeted for cuts. The duty to provide library services for children was one of the key arguments advanced by campaigners in Brent challenging the council’s decision to close 6 of its 12 libraries. Reliance was placed upon section 7 of the Public Libraries and Museums Act 1964. This requires local authorities to provide a comprehensive and efficient library service. Welcome back to the human rights roundup, a regular bulletin of everything we have not managed to feature in full blog posts. The full list of links can be found here. You can also find our table of human rights cases here and previous roundups here. Last week the UKSC’s constitutional status, message, work and composition were the focus of various articles. Roger Masterman and Jo Murkens tried to establish what kind of court is the UK Supreme Court, with particular reference to its constitutional status. Amongst many interesting points, Masterman and Murkens believe that as a result of some of its own features, the Court has begun cementing its place as a constitutional actor of its own right. Richard Cornes, for the Guardian, believes that the most interesting message the Supreme Court is sending has gone almost unheard. Cornes argues this is the result of a combination of the obstacles to the efforts to make the Court more transparent, and the quality of coverage of the Court’s work. In particular, Cornes believes readers of mainstream media (he cites the Daily Mail, the Times and the Guardian as examples) will not have the same impression of the Supreme Court as the person who follows the UK Human Rights blog’s Twitter feed or checks the Guardian Law or Times Law pages online. The Cabinet Office has released its long awaited (by this blog at least) Justice and Security Green Paper, addressing the difficult question of to what extent the state must reveal secret information in court proceedings. A consultation has been launched on the proposals; responses can be sent via email by Friday 6 January 2012. The review was announced shortly after the Coalition Government came to power, on the same day that Sir Peter Gibson’s Detainee Inquiry was launched. In summary, the Government has recommended that controversial Closed Material Procedures and Special Advocates are used more frequently, particularly in civil proceedings. The courts have been reluctant to take this step themselves as any expansion of secret procedures will have significant effects on open justice and the right to a fair trial.